This piece by Scott Joplin is one of the classics of ragtime, used as the theme music for the 1973 Oscar-winning film The Sting. 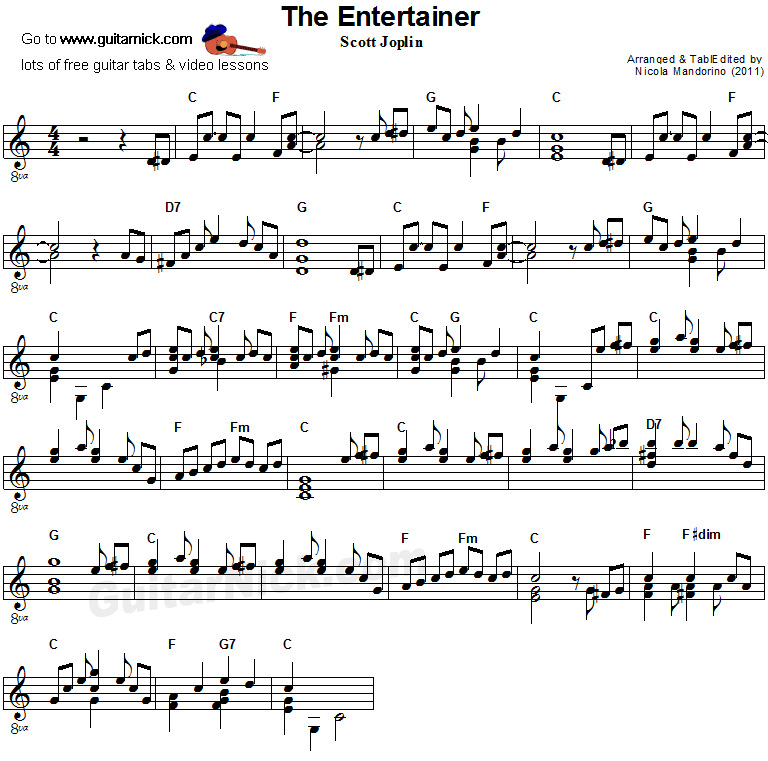 This is my easy acoustic arrangement for flatpicking guitar solo with chords and melody. I like playing slow this version. 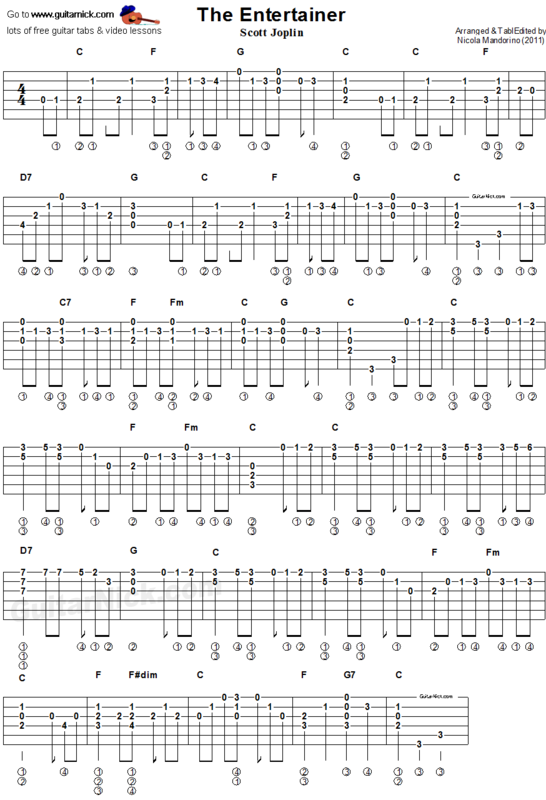 In this guitar lesson learn how to play the piece easily with this accurate tablature for guitar, chords, sheet music and my video tutorial.